Benton County is comprised of 3 main watersheds; Mississippi River - Sartell (26%), Mississippi River- St. Cloud (66%), and the Rum River (8%). Major subwatersheds within the Mississippi River - Sartell Watershed include; Little Rock Lake and Little Rock Creek. Major subwatersheds within the Mississippi River - St. Cloud Watershed include the Elk River. Major subwatersheds within the the Rum River Watershed include; the Estes Brook and the West Branch Rum. Benton SWCD works with other local, state, and federal agencies as well as county residents through a variety of programs and plans in an effort to conserve and protect the water resources in the county. In 1977 Minnesota was stricken by drought conditions that nearly rivaled the infamous drought of the 1930s. That prompted the Legislature to seek ways to better manage the state's water supplies, which led to the enactment of the Comprehensive Local Water Management Act (Minnesota Statutes sections 103B.301 to 103B.355) in 1985. The act encourages counties outside the metropolitan area to develop and implement comprehensive water management plans. While the plans are voluntary, various state and federal grants require recipients to have an adopted local water management plan that is updated periodically ( 5 - 10 years). These local plans focus on priority concerns, defined goals and objectives, and measurable outcomes. The Watershedshed Restoration and Protection Strategy (WRAPS) is a watershed approach to restoring and protecting the water quality of Minnesota's rivers, lakes, and wetlands. This approach focuses on the watershed's condition as the starting point for water quality assessment, planning, implementation, and measurement of results. The MPCA leads this effort with funding by the Minnesota Clean Water Legacy Act. A Total Maximum Daily Load (TMDL) represents the maximum amount of a pollutant a water body can recieve without violating water quality standards. 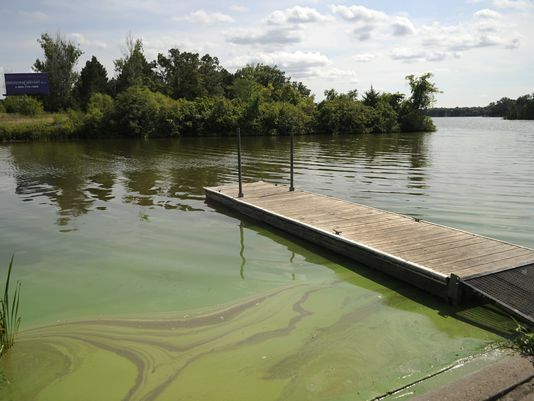 The Clean Water Act requires states to compile a list of waters that do not currently meet water quality standards and do not support their designated uses. Once a water body is added to the Minnesota Impaired Waters List, a TMDL must be developed. This process identifies sources of pollutants and determines how much each source must reduce in order to meet state standards. The TMDL studies are accompanied by implementation plans to assist in meeting TMDL goals. The SWCD is in year 2 of a 3 year monitoring plan for Little Rock Creek and other tributaries to Little Rock Lake including; Bunker Hill Creek and Sucker Creek to evaluate our progress towards meeting watershed load reduction goals. 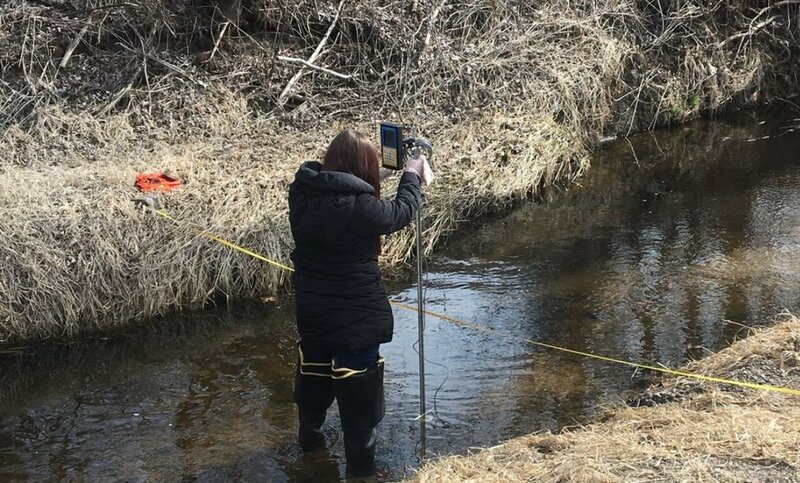 This monitoring plan consists of bi-weekly chlorophylla, total phosphorus (TP), total suspended solids (TSS), BOD5, and nitrate nitrogen, and total Kjeldahl nitrogen (TNK) samples as well as stream flow, pH, stream temperature, and dissolved oxygen measurements. A consultant will evaluate the data each year to develop water quality progress reports. We will use these reports to evaluate the effects of watershed BMPs and other variables, and apply the adaptive management concepts in the implementation plan by adjusting implementation activities in future years. The Climatology Program (also known as the Minnesota State Climatology Office) exists to gather, archive, manage, and disseminate historical climate data in order to address questions involving the impact of climate on Minnesota and its citizens. Climate data are used to explain past events and to assist planners in defining future climate scenarios. The Minnesota State Climatology Office ensures a contiguous and continuous supply of high-quality climate data by coordinating the activities of climate data suppliers, and by developing tools for the management and distribution of the data. The Minnesota State Climatology Office is part of a collaborative effort existing to study and describe the climate of Minnesota. In addition to the Department of Natural Resources State Climatology Office, members of this collaboration include the University of Minnesota-Department of Soil, Water, and Climate; the University of Minnesota-Department of Geography; the University of Minnesota Extension Service; the National Weather Service; and others. Each member concentrates its efforts on specific topical areas in which climate plays a significant role. The results of such effort generally can be used as guidance in the many activities in which Minnesota's citizens are involved. By functioning in a group fashion, an efficiency in the use of data and other resources is achieved. your information by clicking on the button below.